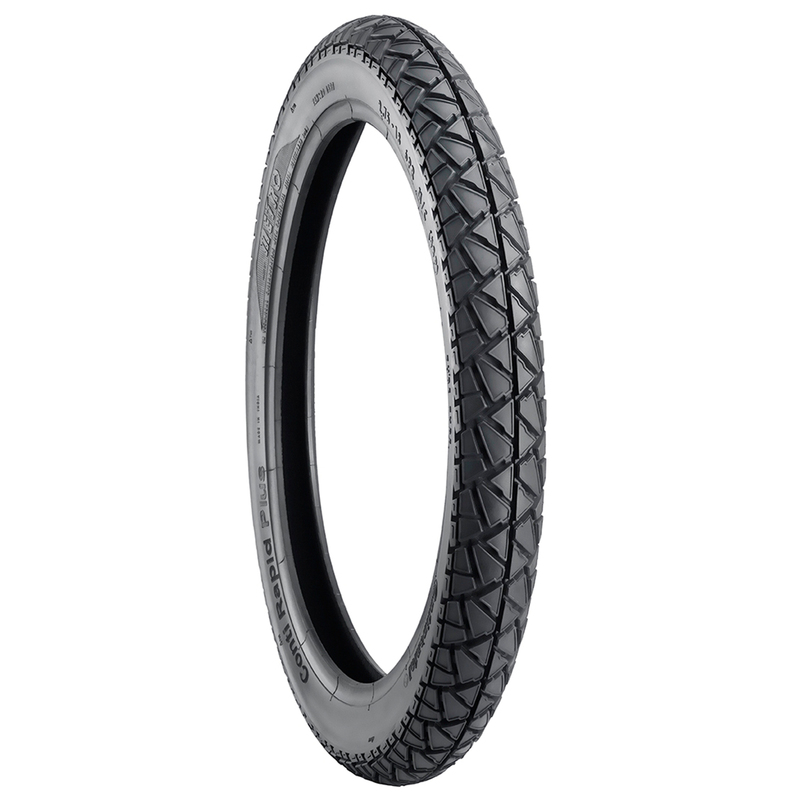 METRO CONTI RAPID PLUS is a requires tube nylon rear two wheeler tyre. CONTI RAPID PLUS is suitable for bikes with tyre size 300 18. Its width is 300 mm, and it fits wheels with a rim size of 18 inches. It has standard manufacturer warranty. This Tyre fits in the following bikes: Achiever, Ala Verde Sport, Caliber, Centuro, Chetak, Duro, Flyte, Freedom, Glamour, Hunk, LML, Pantero, Passion, Passion PRO, Rodeo, SlingShot, SS, Star City, Sunny, Super, XCD, YBR.